Harvard’s Holyoke Center, designed by renowned Catalan architect and former Dean on the Harvard Graduate School of Design, Josep Lluís Sert, will soon be undergoing major renovations, university President Drew Faust announced last Thursday. 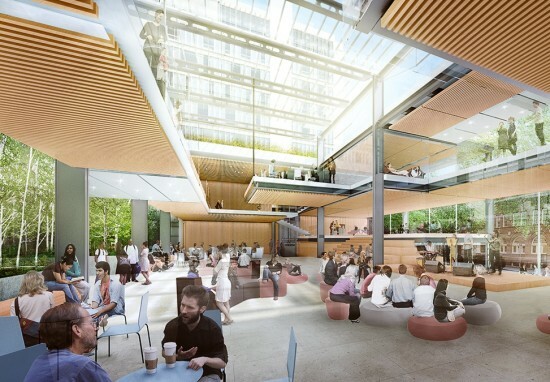 London-based Hopkins Architects, the designers of Princeton’s Frick Chemistry Laboratory and Yale’s Kroon Hall, have signed on to transform the 50-year-old, cast-in-place administrative building into multifaceted campus center by 2018. 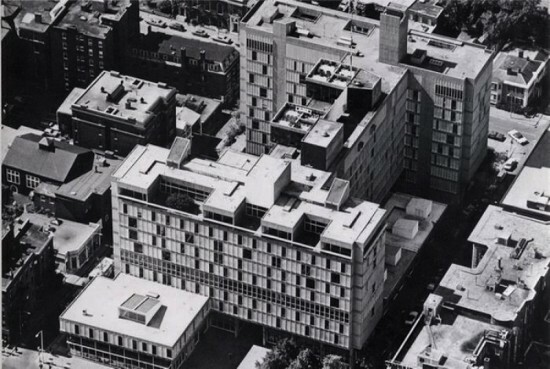 The 360,000-square-foot, H-shaped structure, completed in 1966, represents both the first high-rise building in the area as well as the beginning of Harvard’s adoption of Modern architecture. Behind its complex, Corbusian facade of concrete fins, colored bands, and seemingly randomly placed windows, Holyoke Center has housed the university’s health services, infirmary, and the majority of its administrative offices, as well as ground-floor retail. As part of Harvard's ongoing efforts to improve common spaces across its campus, the building will undergo extensive interior remodeling and exterior renovations in order to provide students, faculty, and staff with an expansive cultural and social center. Once complete, the rechristened Richard A. and Susan F. Smith Campus Center will contain a flexible indoor gathering space, lounges, and study areas, as well as exhibition, performance and event spaces. The building’s ground floor, renovated over a decade ago to enclose Sert’s original open-air arcade with glass walls, will remain open to the public with a variety of retail and food service outlets. “The Smith Campus Center will draw members of the University community together and serve as an important common space for everyone to enjoy and use,” said Harvard President Drew Faust last Thursday during the unveiling of the building’s new identity. “We are very pleased to be moving forward with planning, and we are eager to engage students, faculty, and staff in the important work of creating a flexible and welcoming campus hub.” Construction is scheduled to begin in 2016 following an extensive planning process that will include considerable student and community participation.